The City of Venice is calling out young European artists to participate in the competition of the European Glass Experience (EGE) Project. EGE project wants to focus on the great and undiscovered potential of using glass in pure art, to develop art forms primarily for aesthetics and/or intellectual purposes and not to serve some specific practical function. The EGE project will cover travel and subsistence costs for the inauguration of the exhibitions for at least 3 of the most deserving artists. The Project’s general objective is to enhance a European common heritage, the Glass Art, that have a significant unexploited potential in terms of production of artwork, in terms of innovations brought by artists and in terms of heritage enjoyment by the general public. EGE project aims to put glass back at the center of attention and discussion on the European art scene, to safeguard the European glass art cultural heritage. 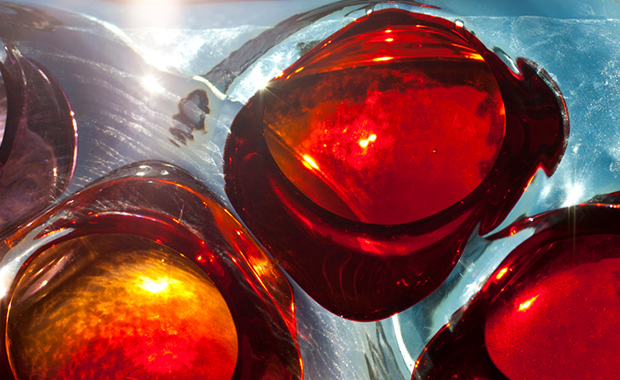 40 glass artworks and 80 sketches will be selected and exhibited in Finland, Spain and Italy. The best 20 sketches will be realized by glassmakers in Murano and exhibited in Italy (Venice) during the last project exhibition. EGE is coordinated by the City of Venice, and co-financed by the European Programme Culture 2007-2013. EGE’s partners are: the Glass Museum of Venice-Fondazione Musei Civici (Italy), Consorzio Promovetro Murano (Italy), the Finnish Glass Museum, the Spanish National Glass Foundation. Moreover, the initiative includes the participation of the following associated partners: the Smålands Museum in Sweden, the Stained Glass Museum in Cracow in Poland, and lastly the International Festival of Glass, United Kingdom.